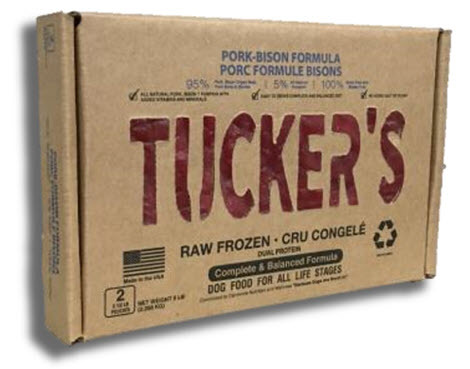 According to a letter from the company, the affected product is labeled “Tucker’s Pork-Bison-Formula” and includes the following identifying information. This recall was issued after the company was notified by the Nebraska Department of Agriculture of the positive Salmonella finding. Product affected was isolated to 1 lot of 540 lbs (108 boxes) and distributed to distributors in Minnesota, Georgia, Kansas, and Pennsylvania. The products were sold at pet specialty retail stores. Consumers who have purchased the affected product are are urged to return it to the place of purchase for a full refund. Consumers with questions may contact the company at 800-219-3650.